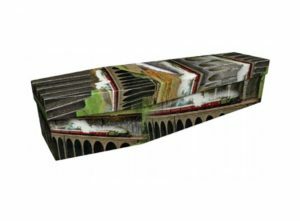 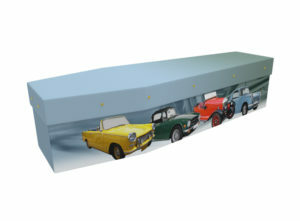 The Greenfield Coffins design team often receive requests for transport-related coffin designs. 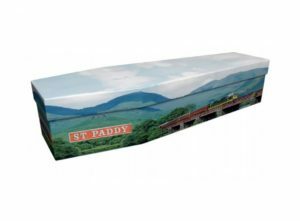 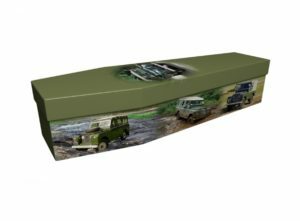 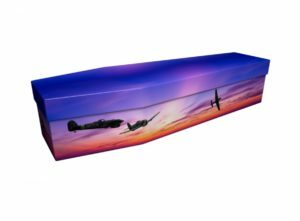 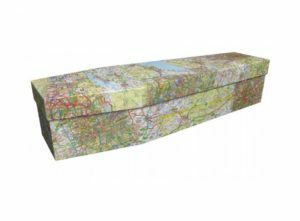 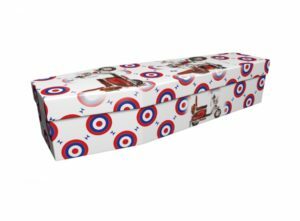 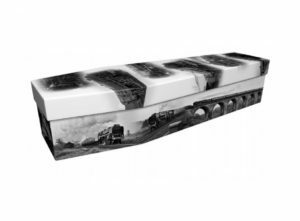 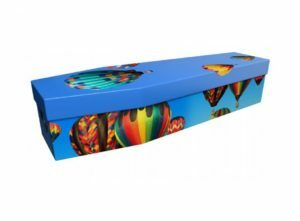 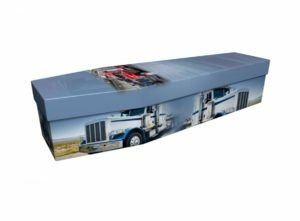 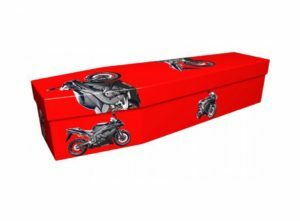 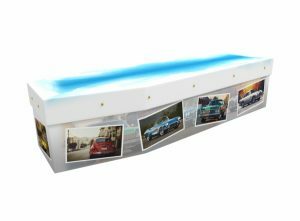 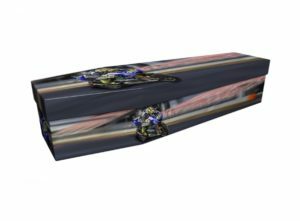 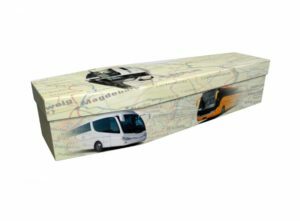 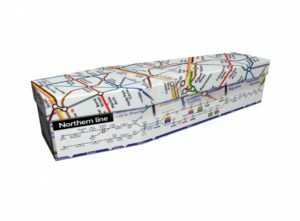 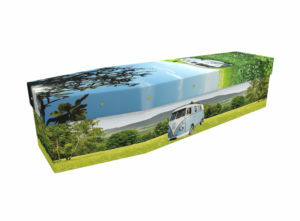 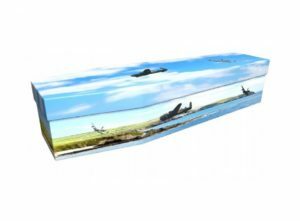 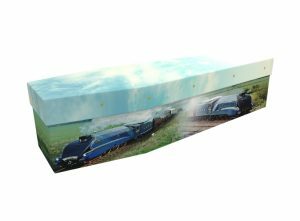 As such, we have experience in producing all manner of vehicle-related pictorial cardboard coffins, from beautifully designed plane and car coffins to coffins printed with boats, motorbikes, and trains. 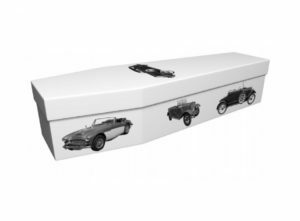 Our designs can be as specific as you would like, and depict any vehicle that your loved one had a connection with. 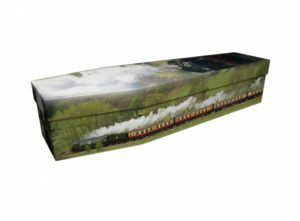 From bikers to truckers, classic car lovers to hot air balloonists, fighter plane aficionados to model steam train hobbyists – there’s few enthusiasts of any machine – be it of road, rail, sea or air – we haven’t catered for. Whatever mode of transport you have in mind, let our design team, headed by Johnny, our art studio manager, develop a design that capture’s your loved one’s passions. Once you’ve told us your initial ideas, we’ll work to deliver a visual proof within 24 hours – by post or by email. 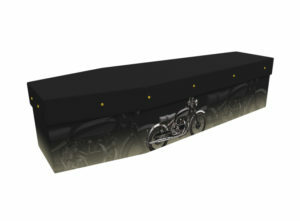 Once you’re happy with the design, we will work towards delivering the final coffin within 72 hours.